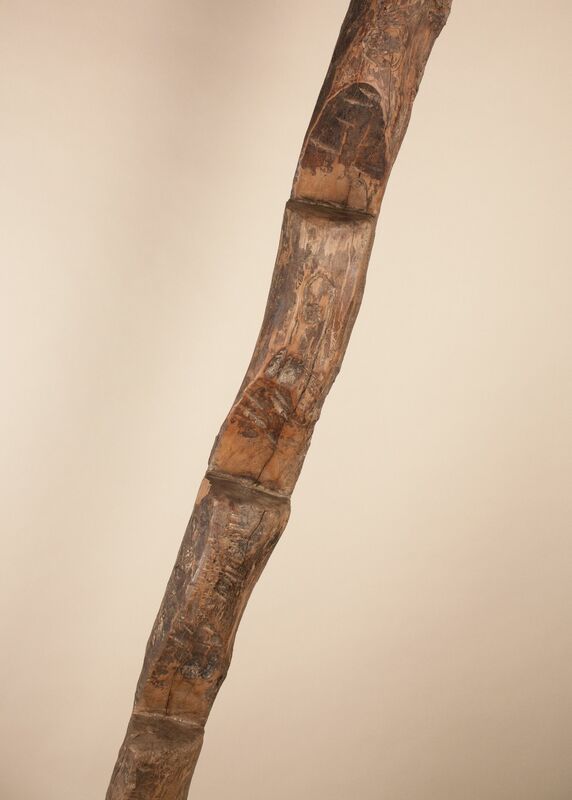 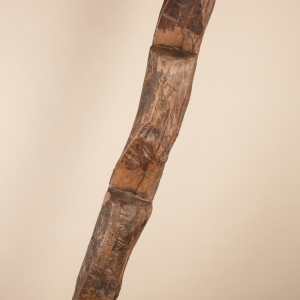 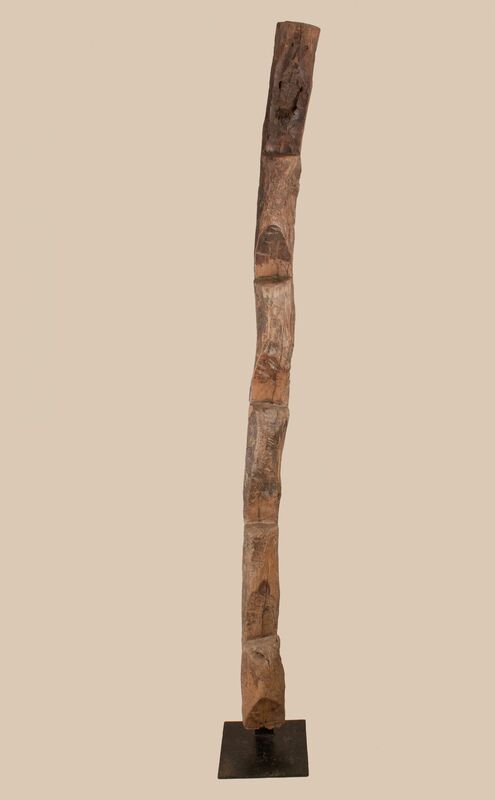 Late 19th century exotic hardwood ladder from Nagaland in Northeast India. 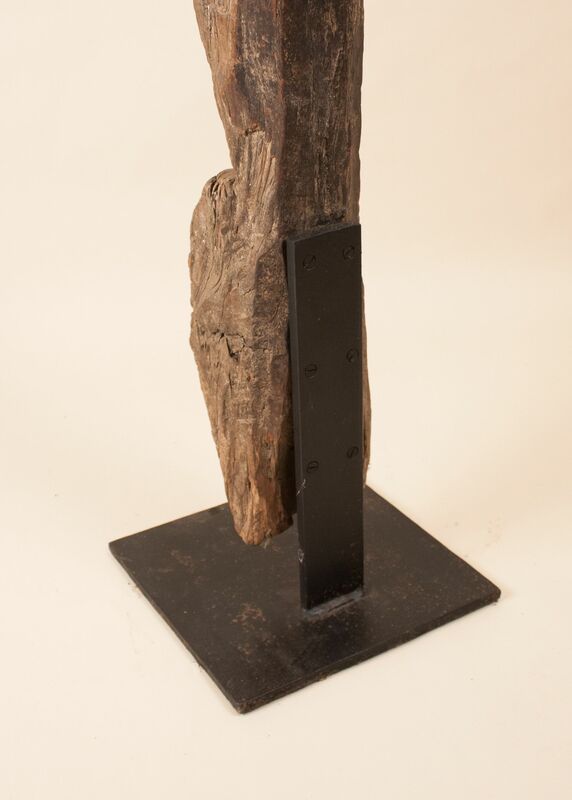 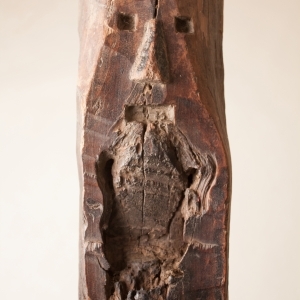 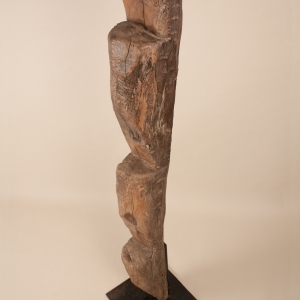 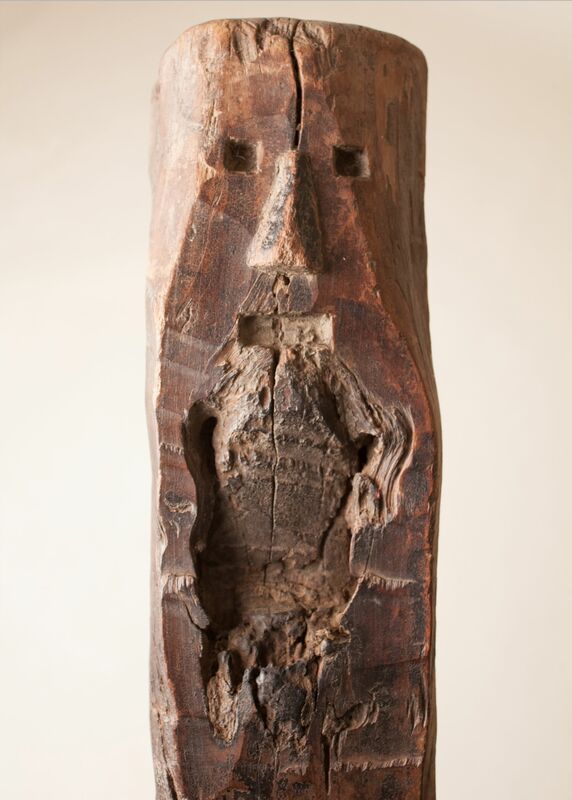 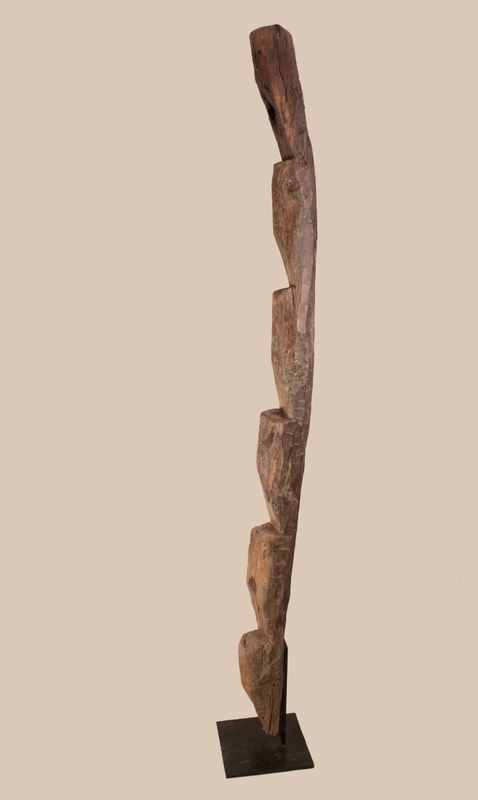 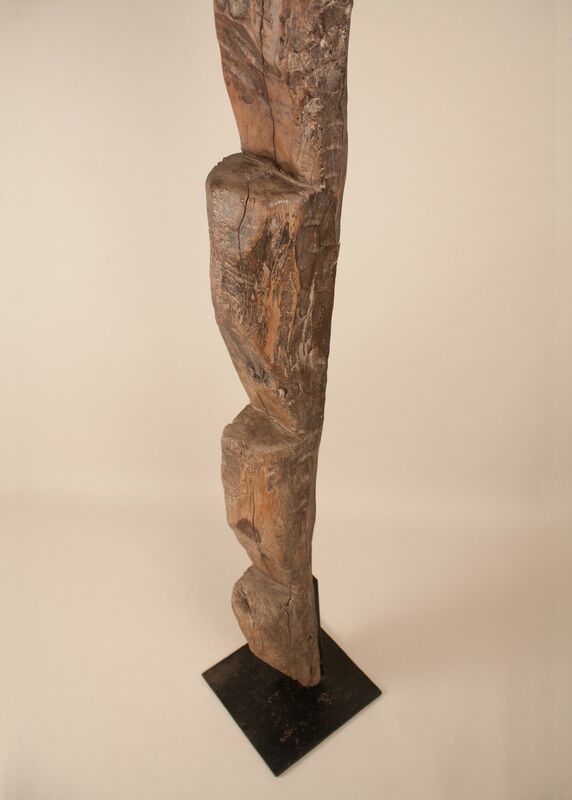 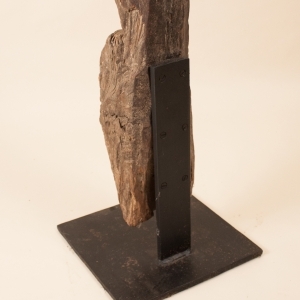 This 7-foot hand carved functional sculpture, with primitively carved face, is solidly mounted on a black iron base. 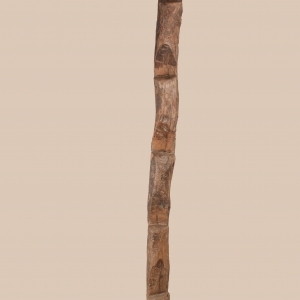 Originally used to climb to raised dwellings, the ladder is similar to those used by the Dogon of Mali and Embera of Panama.